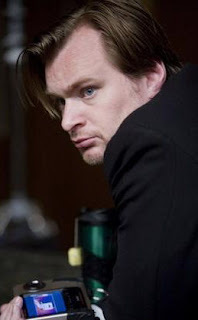 Christopher Nolan tells the L.A. Times that his brother Jonathan and David Goyer, are hard at work on the script. "My brother is writing a script for me and we’ll wait to see how it turns out." 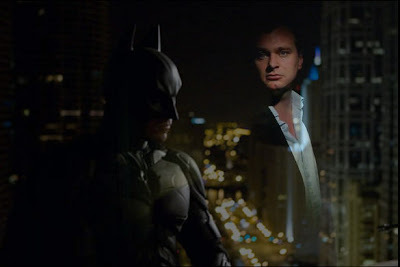 Nolan eludes that his brother is having a hard time making another epic film. He explained, "He’s struggling to put it together into the epic story that you want it to be." With all the acclaim The Dark Knight recieved, I'm sure Jonathan and Christopher both know how high the stakes are for a third film. There is a ton of speculation on exactly how Nolan and his team will approach the third film. Nolan however discloses that Part 3 will very much be the end of his story of the Caped Crusader. He said, "Without getting into specifics, the key thing that makes the third film a great possibility for us is that we want to finish our story." Nolan went further by saying he does want his Batman, to be a ever-evolving or expanding story. "Viewing it as the finishing of a story rather than infinitely blowing up the balloon and expanding the story." Bravo Mr. Nolan, bravo! It is nice to hear that Nolan isn't planning to allow his franchise to become over polluted like Batman did previously. Nip it in the but and finish it off right. Nolan talked a bit more about closing the door on Batman. "I’m very excited about the end of the film, the conclusion, and what we’ve done with the characters," he said. Nolan elaborated a bit more. "Unlike the comics, these things don’t go on forever in film and viewing it as a story with an end is useful. Viewing it as an ending, that sets you very much on the right track about the appropriate conclusion and the essence of what tale we’re telling. And it harkens back to that priority of trying to find the reality in these fantastic stories." We all want to know who the brothers Nolan are thinking of for a villain in the third film, but unfortunately all Christopher Nolan was willing to divulge was who it won't be. "It won’t be, Mr. Freeze."